Sweet & spicy flavor! 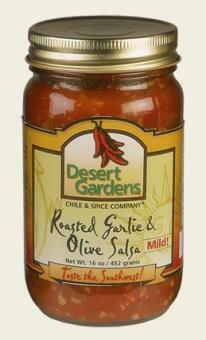 Roasted select New Mexico chiles blended together with spices, sugar, and some vinegar for just the right mix of tangy, sweet, and hot. Serve over cream cheese, on toast or bagels. Great on hotdogs and hamburgers too! 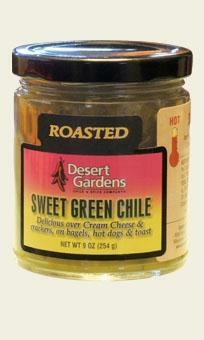 Mild Green Chile, Hot Green Chile, Fiery Jalapeno, and medium Red Chile flavors. Roasted Green Chile, Sugar, Corn Starch, Spices, Xanthan Gum. Delicious over Cream CHeese & crackers, on bagels, hot dogs & toast. Refrigerate after opening. 9 oz (254 g) jar. Store unopened jar in a cool dry area. We got this as a gift and a week after opening it, it’s all gone! 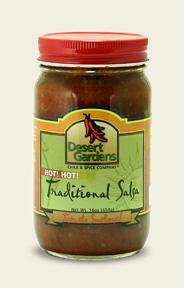 We use it on many different things, on chicken and steak, as a dip, it is sweet and hot, just perfect ! Today I put in on a 3 cheese lasagna. Simpley delicious!